"Pilates is designed to give you suppleness, natural grace, and skill that will unmistakably be reflected in the way you walk, in the way you play, and in the way you work." The body was designed for motion. Quality of movement is key to safe and effective training. 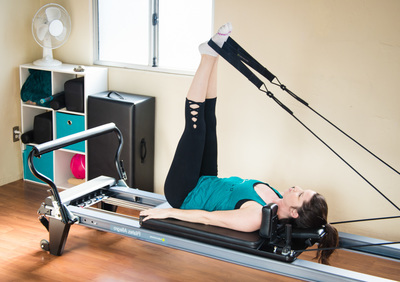 Pilates is a system of physical and mental conditioning that can enhance your strength, flexibility, and coordination as well as reduce stress, improve mental focus, and foster an improved sense of well-being. 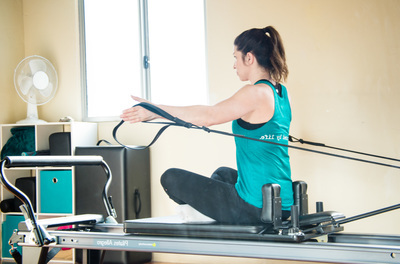 STOTT PILATES® was co-founded by Moira and Lindsay G. Merrithew, along with a team of physical therapists, sports medicine and fitness professionals. Over two years were spent refining the STOTT PILATES® method of exercise and equipment. This resulted in the inclusion of modern principles of exercise science and spinal rehabilitation, making it one of the safest and most effective methods available. It is the contemporary approach to the original mind-body exercise method that was created by Joseph Pilates. Sessions will be customized to suit the novice exerciser learning correct movement; the rehab patient improving function; or the elite athlete seeking the performance edge. When appropriate, equipment will be used to complement the sessions: mat, fitness circle, resistance bands, free weights, bosu, stability ball, reformer and related accessories. "Feeling wonderful! Thank you so much for always making every workout session amazing!" - Michele A.